Looking for legal options to watch the Philadelphia 76ers online. Whether you live in the US or not, here are the sixers live stream and on demand options. The City of Brotherly Love is looking to spread its wins from coast to coast and win a championship of its own this season. You’ll want to catch Joel Embiid and his team in action, and we’re here to help you do just that. NBC Sports Philadelphia is what you’ll need for non-stop Philadelphia 76ers action. Some games will be broadcasted nationwide through TNT, ESPN, and NBA TV, but NBC Sports Philadelphia destroys the competition for most televised games. If you’re the type of person that needs more than just charts—keep reading. We’re about to cover the ins and outs of these services and their 76ers coverage. If this were the draft, our number one pick would always be YouTube TV. It’s got all the coverage you need, unlimited DVR storage, and all-around affordability. So if you’re about watching the 76ers get to a championship game, you have to choose a champion service to match. You can check if YouTube TV works for you with a 7-day free trial. No muss, no fuss. YouTube TV’s base package (and only package) is $40 a month, making it the most affordable, full TV service on this list. You’ll get access to the local channels in your area and 70 more channels to tinker with if you want more than just basketball. The beauty of streaming is that there’s no need for contracts, and you won’t be subject to price hikes. YouTube TV specifically gets you all that and perks like unlimited DVR storage. So yes, you can save every single game of the season on your DVR—and still have space for the occasional It’s Always Sunny in Philadelphia episode. Every rose has its thorns, and that applies to YouTube TV as well. So be aware that its unlimited DVR has an expiration date for any content past nine months of storage. That still makes it the best unlimited DVR in the business, but yeah. It’s a mini bummer. Also, YouTube TV’s availability isn’t nationwide yet, so before signing up, use your zip code to see if YouTube TV is available near you. If 73 channels seems kinda flimsy to you, DISH’s America’s Top 200 has come to deliver the goods. DISH is all about getting you what you want. DISH’s America’s Top 200 costs a whopping $79.99 a month, and with it comes over 240 channels for you to surf before, after, and even during game time. As another upside, DISH is more reliable if you have a weak internet connection. So you won’t have to worry about buffering issues or a low quality picture during the fourth quarter buzzer-beater. Trust us—you don’t want to go through that. For all it gets right, DISH isn’t perfect, and it’s biggest con is its two-year contract. We know that’s some pretty steep commitment, especially because you and DISH just started getting to know each other. But when it comes to reliability, you’d probably rather know what you’re getting into. Trust issues aside, DISH is a great option for anyone looking to get everything entertainment in one package. We think this second-round draft pick ain’t half bad. NBA League Pass is for the dedicated fans who live far away, but know better than to stop loving the 76ers because of a simple thing like distance. 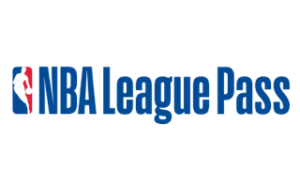 The service NBA League Pass has several packages to offer, but we think the best for Philadelphia 76ers fans is its most simple package, NBA Team Pass, at $119.99 a year ($17.99 a month). This package gives you access to one team’s out-of-market games. Unfortunately, that doesn’t include nationally televised games, but you can sit back and savor most of the 76ers season from the comfort of your living room. This means if you’re outside of the City of Brotherly Love or outside of the NBC Sports Philadelphia market, you’ll get access to most of the 76ers. And if you want nationally televised games too, you can always supplement with another service (like one the those above). As you can tell, NBA Team Pass is different. It pretty much covers all of the games that can fall through the cracks of nationwide coverage—you know, for fans that don’t get local channels. So if you’re one of those fans, we totally recommend it as a service, or even as a cherry on top of another live TV service you subscribe to. Like we briefly mentioned earlier, Team Pass isn’t the only package available, either. You can get every game in the nation (outside of your market) and all of the half-time and time out coverage without commercials if you want to upgrade to either NBA League Pass or NBA League Pass Premium. Each package upgrade costs a bit more than the last, but we don’t judge you for liking what you like. So all in all, NBA Team Pass comes in last place because it’s less than what you expect, but for some of you it’s all you’ll need. The 76ers face some tough competition this season, but with a powerful team, they’re looking to carve their name alongside other greats of our time. Make sure you watch how their goals turn out this season.